Don't miss out on this awesome BOGO! Stop paying those monthly cable bills! 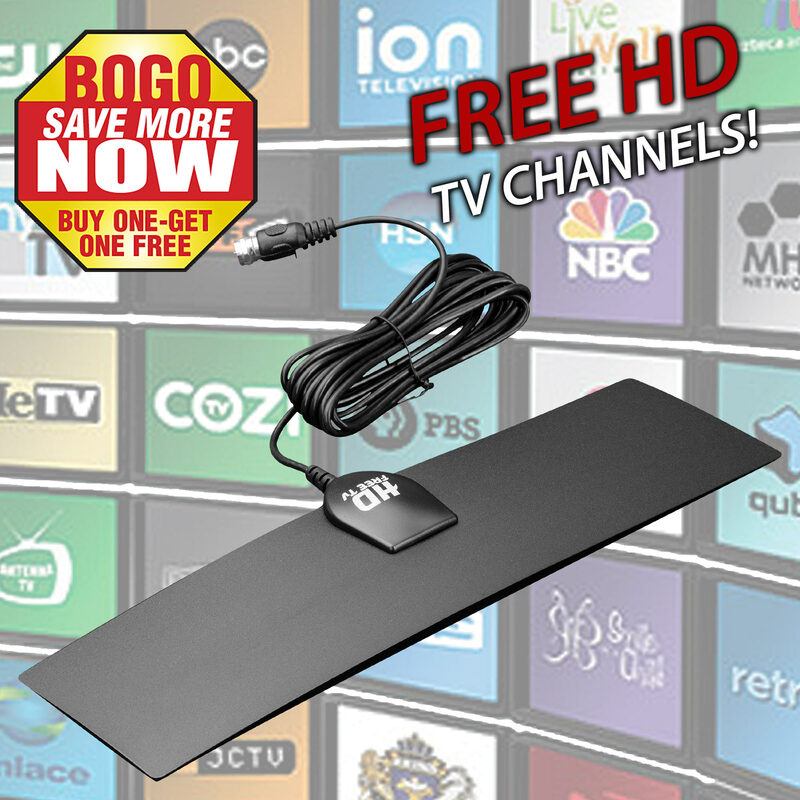 Get the Free HD TV Antenna and get a free 1080 high definition signal from all major TV networks. It has a thin, low profile design that makes it easy to conceal and it adheres to any surface. The multidirectional antenna will pull in signals from all directions and you can watch TV in any room of the house without extra cable boxes and wires. It is easy to install, so, don’t wait! Get one now! Hurry now and you get two antennas for the price of one! i had to dig up the one i had in the closet to make sure the miles this is a short range 35 mile antenna so unless you are near the towers you will not be getting more than 2-4 channels at best i got 2 here changed to another antenna i got from here and got 21 stations with a 50 mile antenna much nicer .